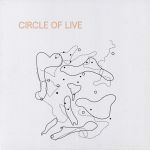 Review: Circle Of Live is a collaborative electronic project led by the Swedish techno artist Sebastian Mullaert. It aims to reevaluate the structures of performance, linking artists and their machines for improvised jams. It debuted at Baskerville Hall as part of Wales based Freerotation festival, featuring a revolving cast of musicians, who in this incarnation included such big names as Mathew Jonson, Dorisburg and Johanna Knutsson, alongside festival and label co-founder Steevio. With artists like this linking up, you can just imagine what kind of magic they'd possibly conjure up and we can assure you it's absolutely sublime. These five excerpts from the live performance capture some of their most dynamic and spellbinding moments.